Willem Prinsloo Agricultural museum, as the name says, a museum for all aspects of agriculture in this country GPS coordinates: 25.7942°S 28.6125°E elevation: 1481m. 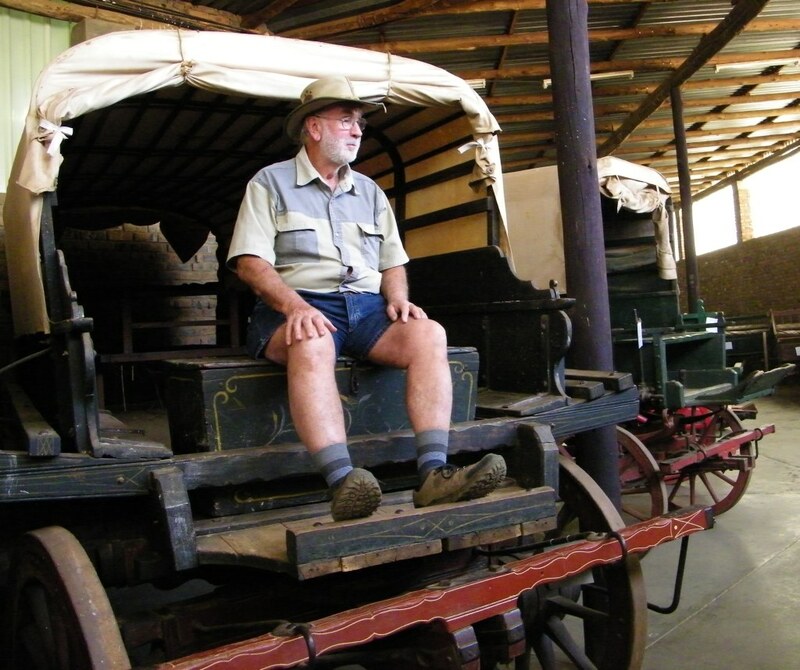 Exhibits are varied, ranging from horse carts, wagons, steam engines, ploughs, a old farm house, a smithy with all the tools and fire place, live stock, a farm vegetable patch and much more. The first exhibit we got to was horse drawn carriages. You may well say 'so what? Boring', not at all. When one reads about history one often comes across that the farmers wife went to town in the Spider, this was one model of horse drawn carriages. Look at the picture, doesn't that look elegant? I wouldn't mind going into town with one of these. 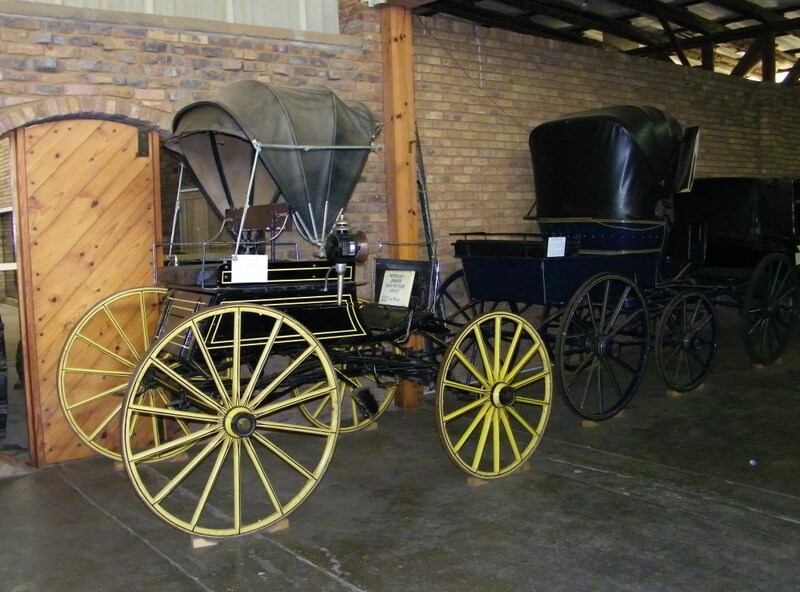 Also of interest were the transport wagons mostly used during the 19th century. See the picture with one of the Voortrekkers actually sitting on it, unfortunately he ran out of oxen to pull the thing. And thinking about this how they managed to sometimes trek with these wagons for month on end, live on them, sleep on them, make and have babies, its amazing; that, I would say, is called roughing it. And then we had all those steam engines, tractors, mowers, ploughs etc. I made a mental note of two of those steam engines that had been stolen from the Germans in South West, I may want to claim them back one day. And how about this classic Lanz tractor, I remember those from my childhood. One could stand near it and count the number of strokes, something like 20 revs per minute. That is why it needed that huge flywheel. 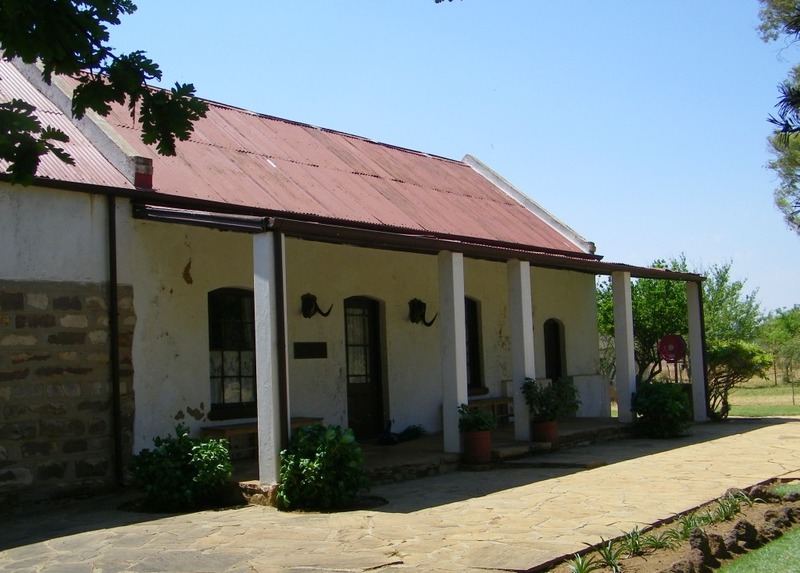 The Prinsloo homestead showed how people lives around the turn of the centuries, 19th to 20th. One of our friends comment was that she would love to live in one of those houses. I think possibly for 5 seconds until she realises: no fridge (although there was one with wetted panels filled with charcoal, that way a cooling down to wet bulb temperature can be achieved), no washing machine, no dish washer, no electric stove (a fire place that has to be started at 5 in the morning), no electric geyser or even solar geyser, no electric light and all the other modern comforts. A political addition to the museum is the Ndebele homestead, its not very well done and doesn't give the feel of being authentic. Concrete surface between and in the huts, inside one of the houses that I crawled in were some utensils like enamel mugs most likely purchased recently from the local bazaar. I am not impressed. The restaurant was also a disappointment, in the brochure it said it offers traditional meals (boere kos), I was looking forward to that. But alas all we were offered were sandwiches. Thus we moved over to the Sammy Marks museum for some proper food. That way we missed out on the livestock.